This entry was posted in Political commentary and tagged coal, dead fish, fear, guns, Murdoch, NSW election on March 25, 2019 by Geoff. 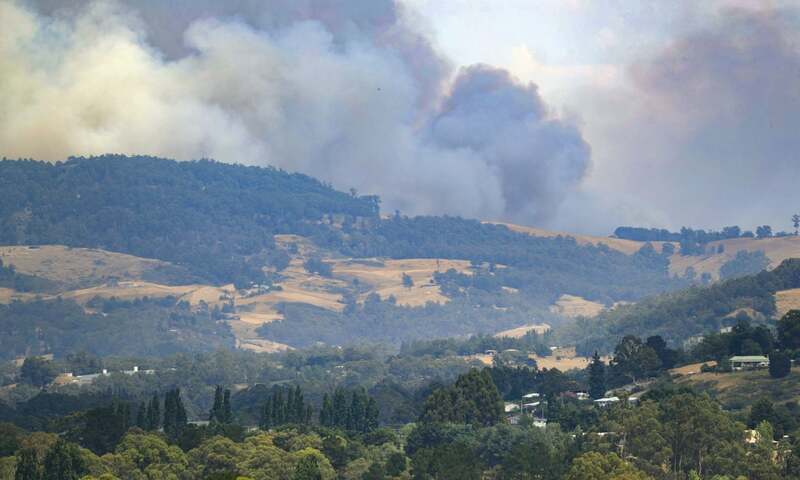 This entry was posted in Political commentary and tagged Christchurch, fear, Islamaphobia, John Howard, Murdoch media, Port Arthur, terrorism, white supremacy on March 18, 2019 by Geoff. 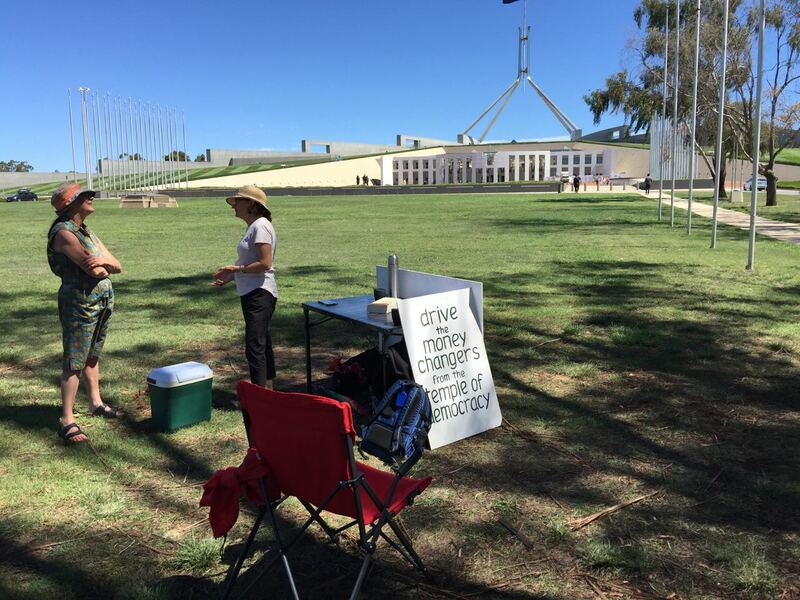 Tuesday there were crowds (up to 1000) in front of Parliament House attending rallies for Stop Adani and medical evacuations of refugees from their island gulags (though you wouldn’t know it from the mainstream media). 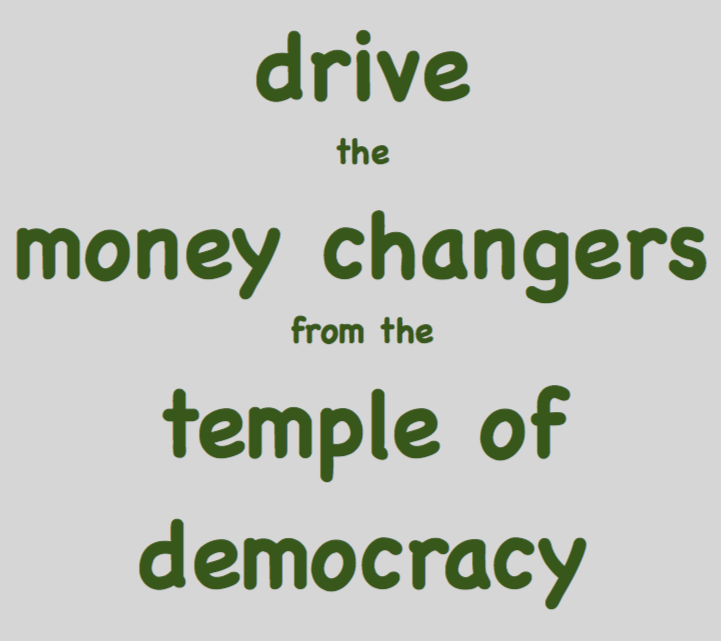 There was some interest in the People’s Embassy and its message ‘Drive the money changers from the temple of democracy’, though the numbers were not large. Mostly a passing ‘good on you’. A highlight was emphatic support for the message from Greens leader Richard DiNatale, who was cruising the crowd. 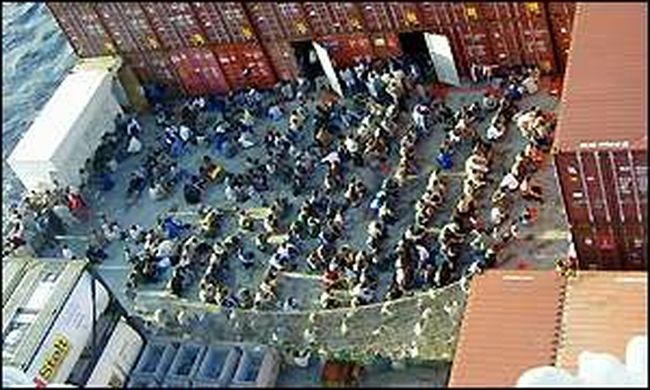 This entry was posted in Political commentary and tagged corruption, democracy, People's Embassy, Richard DiNatale on February 13, 2019 by Geoff. Open for business. Bigger tomorrow, gaining synergy from other demonstrations. Positive reactions from the offices of several politicians. This entry was posted in Political commentary and tagged #ozpeoplesembassy, corruption, Parliament, People's Embassy, transparency on February 11, 2019 by Geoff. 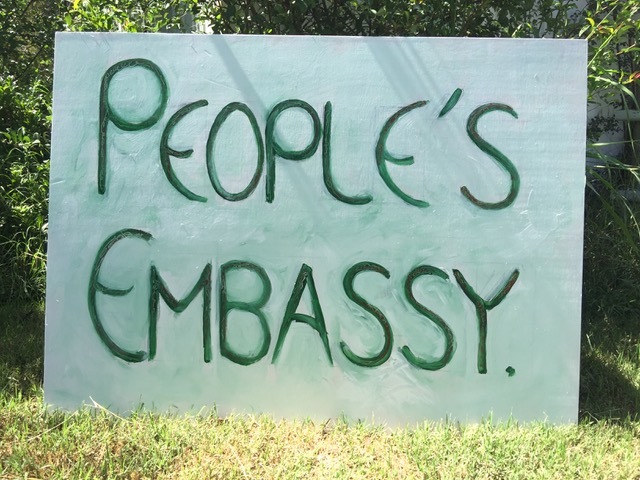 Come Monday 11th next this sign will be outside new Parliament House, as we set up the People’s Embassy to Parliament. People count for so little inside the big house, because Big Money has taken over, that we need an embassy. But it’s only an interim arrangement, until we drive the money changers from the temple of democracy and take it back for people. Join us, spread the word, support us, start your own branch, have politicians and wannabe politicians sign the pledges, if they dare. 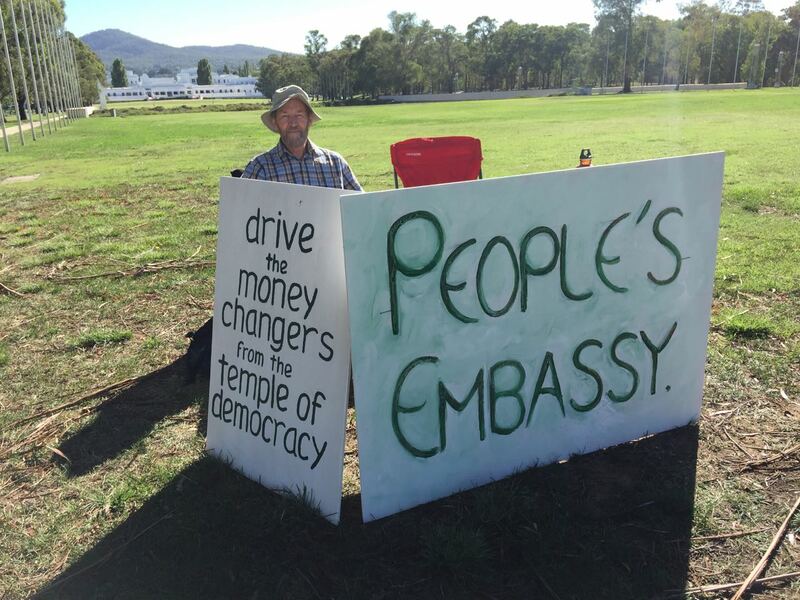 This entry was posted in Political commentary and tagged #ozpeoplesembassy, Big Money, corruption, Parliament House, People's Embassy on February 9, 2019 by Geoff. Next week, as Parliament resumes, I will mount a protest against corruption of the Parliament, namely a People’s Embassy – to our Parliament. See the explanation on the dedicated page A People’s Embassy. Corruption of our democratic system is flagrant, but hardly commented upon. Politicians accept money from the rich and do favours for the rich, against the known wishes of the people. It may be all nudge-wink, but it is plainly there and plainly subverting our society. Several pledges will be available for politicians and candidates to sign up to. The most important are the Sunshine Pledges, to reveal contacts and financial support in real time, and to limit donations to individuals and small amounts. This entry was posted in Political commentary and tagged #ozpeoplesembassy, corruption, democracy, Parliament, sunshine pledges on February 4, 2019 by Geoff. 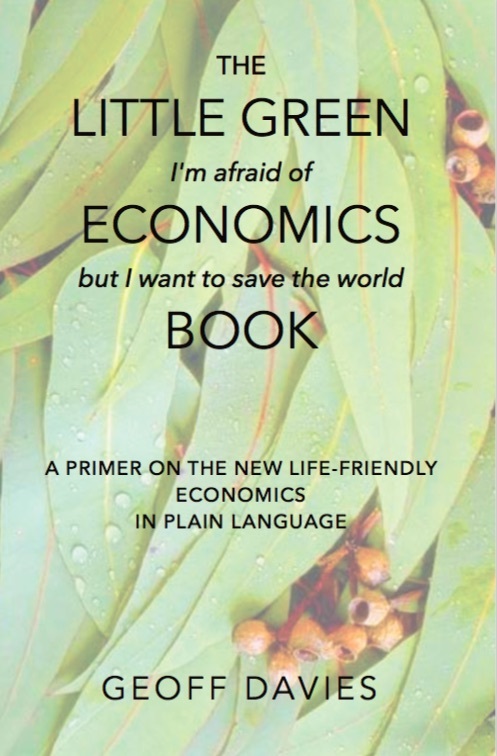 The Little Green Economics Book is now available as an eBook as well as a paperback. Buy it on Amazon AU, US, UK or others. See more here. Whether we like it or not, ‘the economy‘ is the main game in today’s world. 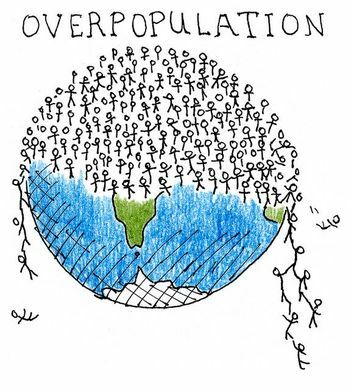 No matter the good causes we work for, the present economy will very likely be subverting and trampling them. What if the economy supported our good causes instead of squashing them? 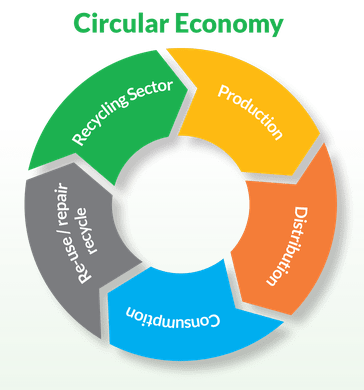 This entry was posted in Economies and economics and tagged banks, economy, Environment, finance, GDP, growth, ownership, Society on December 18, 2018 by Geoff.